Kayak with sharks, barracuda and alligators in South Florida! Associated Press reporter Brian Skoloff paddles his kayak into a mangrove-lined canal on Raccoon Key, Fla. 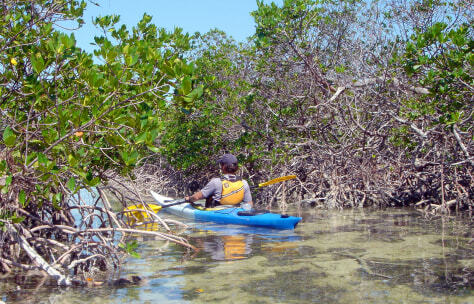 Visitors who kayak on Keys shallow waters can enjoy a plethora of flora, fauna and underwater life in the unique ecosystem.